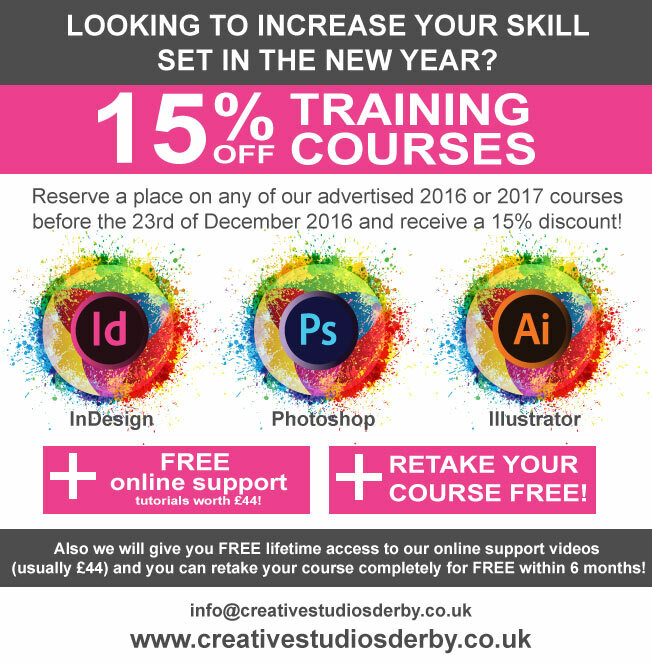 To take advantage of this fantastic offer just choose your course along with the course date then email us directly info@creativestudiosderby.co.uk quoting ‘15% OFFER’. Please note using our online booking form to reserve your space will not generate this discount. 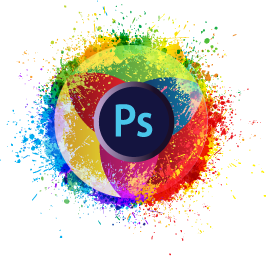 Our Photoshop Training Courses are also aimed at the complete beginner, ranging from one day to two days we will soon get you up to speed in the art of image editing for both print and web use, click on the Photoshop icon above to see our range of courses. 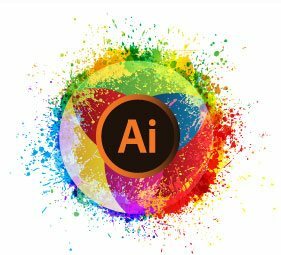 Adobe Illustrator is the industry standard for creating scaleable vector artwork, you can create logos and graphics that can be used in a range of promotional material. We have a two day Illustrator course and a one day specialist CAD for Fashion and Textiles course. Both courses can be viewed by clicking the Illustrator logo above.